If you have ever desired to become a more attentive, compassionate, and liberated human being...NOW is the time. In the pages of this book you will learn to overcome your egoic mind patterns, and discover the path to finding your True Self. You will develop a practice of mindful driving in the current moment with dynamic awareness, and reveal the Truth of your Higher Self. 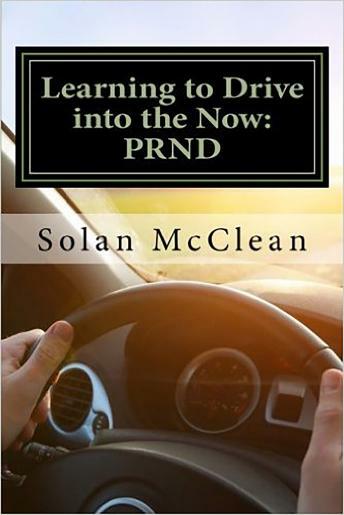 By applying the techniques and practices illustrated by Solan McClean in "Learning to Drive", you will not only learn to drive with more attention, serenity, and compassion, but you will learn how to use your experiences to transform your life outside of your car. "Learning to Drive into the Now: PRND" is a great program for those who are new to self discovery, meditation, and practicing mindful awareness. If you've ever tried sitting meditation and couldn't put together a meaningful practice because you didn't have the time, were bored, or didn't feel you were getting results...this is the practice for you! If you already have a meditation practice, you will find "Learning to Drive" a great addition to your learning library.